How to Create a Closed Feedback Loop? The first thing about the customer feedback loop is to ask for customer feedback. What sort of feedback do you want? What feedback can be used for product development? 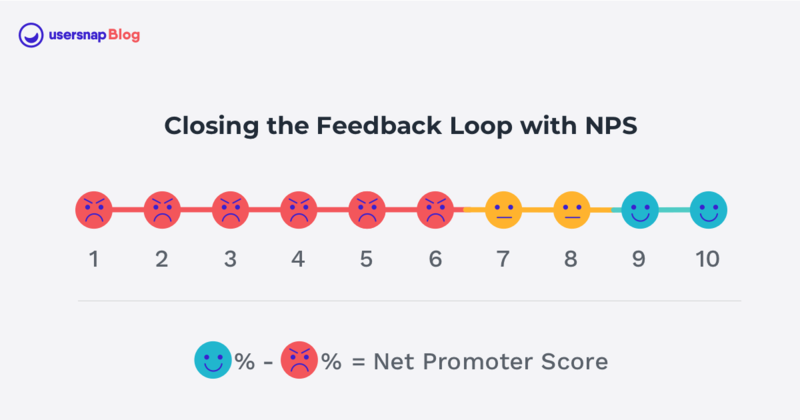 The most popular and manageable way to start with customer feedback is Net Promotor Score (NPS). NPS measures customer experience and provides a quantitative indicator to customer satisfaction. How NPS works is you ask the customers to give a rating from 0-10 on the likelihood they will recommend your product or service. The rating signifies if the customer is a promoter, a passive or a detractor. You can then calculate your Net Promoter Score by subtracting the number of detractors from the number of promoters. The score would be between -100 to +100. Why should you use NPS? Despite how simple Net Promotor Score feedback seems, it can uncover insights to reduce customer churn, nurture customer loyalty and improve customer experience. To further collect qualitative feedback from NPS is also easy enough. You should follow up with open-ended questions. The first question you should ask to the customers is why they gave that specific score. Then you can really start to understand the context of the feedback and gain information to make improvements. How to Close the Feedback Loop with NPS? The three types of Net Promoter Scores indicates different satisfaction levels of customers. How you should take actions on their feedback and show them your commitment is likewise different. Here we want to share some strategies on how to analyze NPS and what you should do to close the feedback loop. Promoters, those that gave a 9 or 10 rating, are the group that likes your business and are generally satisfied and loyal. They can also be advocates for your business. You already have a somewhat strong relationship with them and they have provided references, testimonials, reviews and so on for your brand. Don’t take them for granted. Show gratitude and nurture your promoters. Give them rewards – thank you emails, merchandise and so on. Ask for referrals – they will be happy to recommend your brand, especially if you offer free credits. Give personalized updates – see what they like and then show them the potential benefits of enrolling. Passives are a segment of their own. They rated 7 or 8 to how likely they will recommend you. These customers have tried your product, they are satisfied but they don’t seem enthusiastic about it. They are somewhat ambivalent towards your product. This is precisely what makes them so vulnerable to competition and what might make them churn. They recognize that they need your type of product but they are not sure that your product is the best out there. But, this is an opportunity for you to show them that you are, in fact, the best. It might be a bit difficult to close the feedback loop with them because they don’t tend to provide much feedback. Zendesk says that only 37% of the passive cluster share feedback. They churn and you lose the chance to turn them into engaged customers. Offer discounts and upgrades – give them exclusive discounts, subscriptions and zero-risk upgrades. Send guides – they might not know how to use your product properly so you should send guides and help them learn. Detractors are essentially unhappy customers. Dealing with them will be less than pleasant. But, these are also the customers that can bring you the most benefits because they often have tangible and detailed complaints on your product that could help you improve it. Changing their mind is all about admitting your mistakes and showing them how and when you plan to fix it. According to research done by Lee Resources, 70% of the customers will do business with you again if you fix the issue they complained about. The purpose of closing the feedback loop with them is to build trust and show them that you are a good business with a lot to offer. These customers can be your future Promoters, if you do the job properly. One of the most effective way to engage with detractors is to send a personalized email and ask them about their issues and how they think you should resolve them. What is it that you wanted to do with our product, but couldn’t? Can you outline the solution you want to see? What is the first thing you would change about our product? Calling them or conducting a customer interview are solid options as well. It gives that human contact and allows for deeper questioning. The idea is that you should improve the perception of the brand by solving the biggest issues. Give them an extensive product guide, in case they need something you are already offering. Extension of the free trial plus some premium features. Suggesting a service that would work for them, even if it’s not within your product. Share upcoming plans and product features, they will probably stick around! Most businesses have a framework in place for the three groups mentioned. But they often overlook the largest pool of customers which are non-respondents. For example, the NPS response rate is around 20-40%. This means that ignoring the non-responders would mean ignoring 60-80% of your market, which is not a good idea. Non-respondents are hard to convince, though. Iva Dalton, business writer at Draft Beyond and Research Papers UK. Adriana Piazza from SandSIV+, a superior customer intelligence analytics company, said it’s good to start from NPS, which is simple way to segment the customer base according to perceived experiences rather than standard CRM commercial attributes. But defining a close-the-loop strategy starting from a quantitative measure of customer satisfaction is limiting. Without a deep understanding of the reasons for the score, you risk to manage customer needs inappropriately and create further dissatisfaction reasons. For this, you need to use open questions when you collect NPS and analyze the experience stories of your customers to set the proper and effective close the loop process. Below the surface of responding appropriately to your customers’ feedback, the real deal in closing the feedback loop is about how you improve your products and services to meet customer expectation. You should input the voice of customers to your product development cycle. 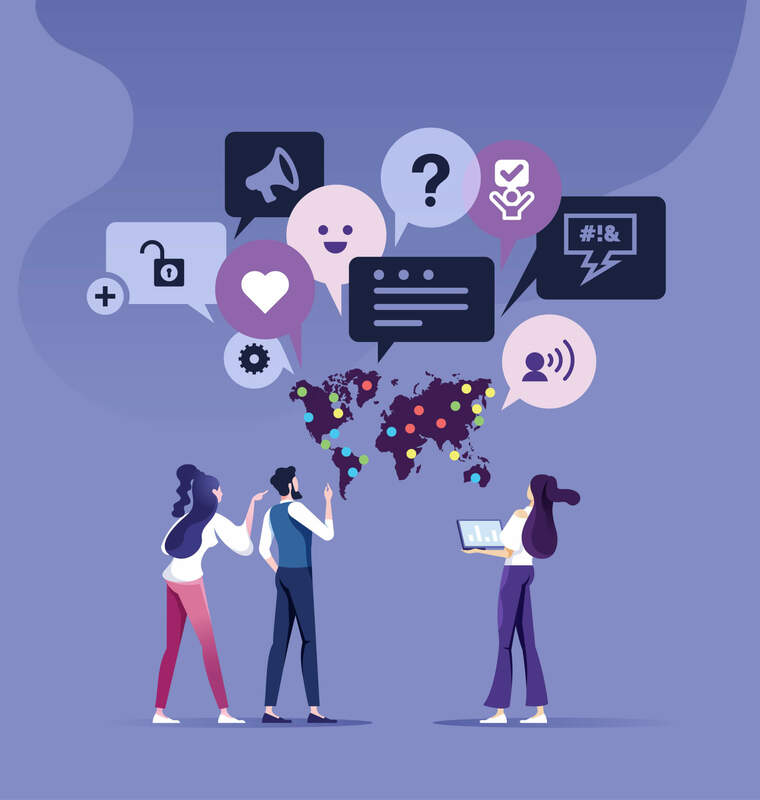 Understanding why customer feedback is so important and handling it is equally important as any other element of your business. Make sure that you are aware of the different segments in your customer base and that you know how to close the feedback loop with each of them. Use the critical feedback to adjust and improve your business. Only this way can you create a sustainable and purposeful product. 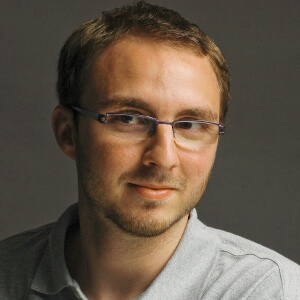 Searching for the right tool to gather NPS and capture qualitative feedback? Check out the easily integrable Website Feedback Tool by Usersnap. Get a Demo today or try it out with the 15-days free trial run. Harry Conley is a marketing manager at Lucky Assignments and Gum Essays. He develops training and manages the workflow to provide customers with supplemental or support instruction.